Slice the cacciatore into thin rounds and gently fry in the olive oil on a low heat until nice and crispy, once cooked, remove from the pan piece by piece reserving the oil from the rendered sausage for the dressing ( it is full of flavour and is really delicious). 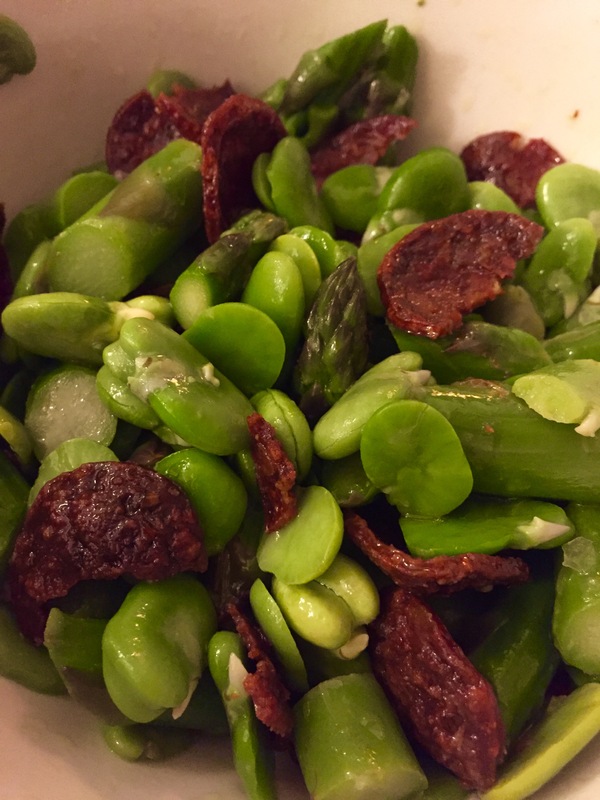 Blanch the beans and asparagus for no more than 2 minutes, drain and refresh in some iced water. Gently reheat the oil from cooking the cacciatore and squeeze the juice of a lemon into the pan and pour immediately over the asparagus, beans and cacciatore (use a sieve if there are lemon pips). Sprinkle with flakey sea salt and serve.